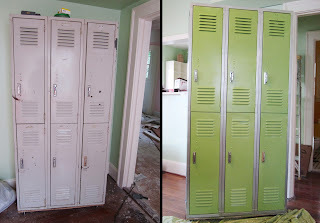 Several months ago, two of my friends decided to move to Colorado and in the process of getting rid of all their extra stuff, Sarah and I acquired a set of vintage lockers in pretty rough condition. At that point we knew that we were moving the shop and had already decided on a space so we knew that these would be great for storing our junk in the side room off the classroom. I knew the lockers would need some work which was fine, over the years I have become pretty good at transforming ugly rusty things into beautiful things. With the help of some steel wool, sandpaper, and spray paint, old becomes new again. 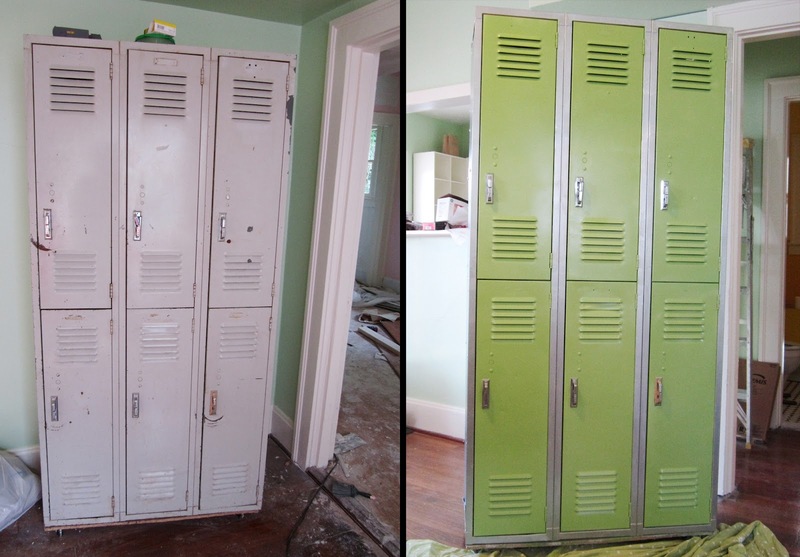 Lockers before and after. Tomorrow we will remove the ill-fitting casters and attach a fixed base. I enjoyed reading your posts...just finally caught up reading through all the archives. Bummed that you aren't able to post as much anymore. Would love to hear more about vegan lifestyle, your favorite vegan yarn and what are the best uses for each based on yarn qualities or personal preference.